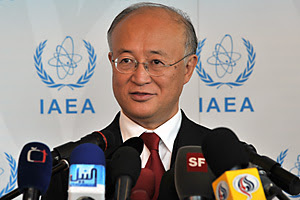 IAEA Chairman Yukiya Amano will appear at a Senate Foreign Relations Committee meeting on Wednesday to privately brief members of the committee on the nuclear sellout to Iran. The director general’s visit to Washington comes amid questions from many in Congress over separate agreements between Iran and the Vienna-based IAEA that are linked to the overall nuclear deal negotiated between Iran, the U.S. and five other world powers. Critics of the talks with the longtime U.S. nemesis have cast the agreements as “secret side deals” and have demanded that their contents be revealed. The State Department has described the documents as “technical arrangements with the IAEA [that] are as a matter of standard practice not released publicly or to other states” but added that U.S. officials have been briefed on them. Some lawmakers also have questioned whether the U.S. should have a more direct role in inspecting Iran’s nuclear facilities, even though the Islamist-led government in Tehran doesn’t want American inspectors on its soil.